Today’s entrepreneurs are agile, forward thinking, practical, and let’s face it, exhausted. It is almost time for Christmas, and they have been working hard all year forging into unknown territory, disrupting industries, and developing new ideas. What kind of gift is guaranteed to bring out the warm and fuzzy feelings for that special entrepreneur on your Christmas list? We’ve got a range of suggestions guaranteed to let them know how much you care, as you bring some special holiday joy into their lives. the basic gadgets and accessories you need for work or play? 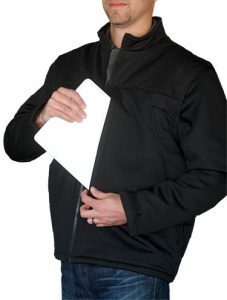 SCOTTeVEST has developed a line of intelligently designed, tech-enabled clothing that can handle everything from keys and eyeglasses to your cell phone and tablet and more. Don’t take my word for it, check out their full line of vests, jackets, hoodies, pants, and even boxer shorts, you are bound to find something useful for your favorite entrepreneur. 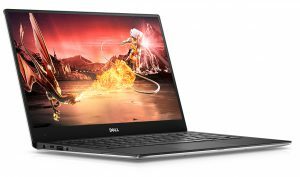 Dell’s latest model, the XPS 13 has gotten great reviews, including enthusiastic thumbs up from PCMag and PC PRO. It features next gen Intel ® core processors, battery power of up to 22 hours continual use, excellent docking and connectivity capabilities, KillerTM Wireless, and a nifty, “virtually borderless” InfinityEdge display, allowing for a 13” screen inside an 11” wide frame. Lightweight and sleek, with a weight starting at under 3 pounds, this super slim 9-15mm thin notebook at a base price of about $800 is a must-have for the on-the-go entrepreneur who is as likely to work in a coffee shop as a shared office space. Moreover, I am a little weak-in-the-knees for the optional rose gold finish. Whether they are looking for a special meeting room or a co-working space, options abound for entrepreneurs who need to work and take meetings in various locations. Why not give that special entrepreneur in your life a gift certificate to one of these two fantastic services? Breather offers hourly rates on a selection of private meeting rooms located in seven US cities, Toronto, Montreal, and London. WeWork offers a choice of 139 different co-working spaces in 34 cities across North and South America, Europe, and Asia. Both services offer tech ready spaces with wi-fi connectivity and other amenities. 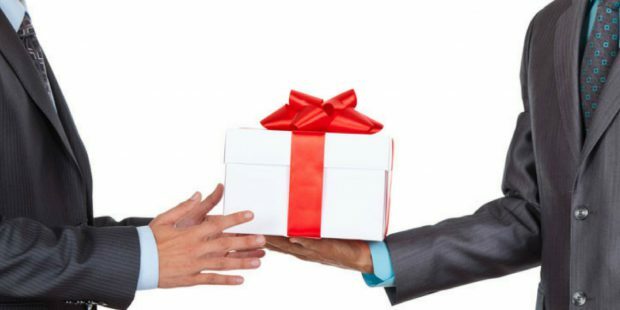 8 #gifts your #entrepreneur will love this #holiday season! out." And if you’re going to take pen to paper, then the gold standard is Moleskine. The epitome of class and elegance, a Moleskine notebook is just sleek and professional enough to make anyone feel like a writer. I don’t know; maybe it is that elastic band that keeps it closed or the variety of colors and styles. 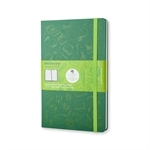 And yes, even though I’m a bit of a Moleskin purist, I cannot help but mention that they have some high-tech options like the Evernote Notebook. With its Evernote Camera feature, you can capture your handwritten notes into your Evernote app using your smartphone camera. Oh, and unless you are ready to go all out Montblanc, they even have a reasonably priced collection of pens and pencils. It’s a Lamp. No, It’s a Charger. Here’s something pretty ingenious. 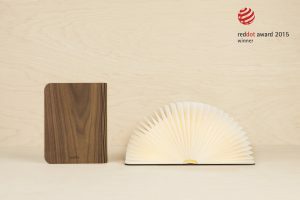 The Lumio Lamp is an elegantly designed portable lamp concealed inside a hardcover book. It’s quite gorgeous, opening up to a full 360 degrees. The Mini Lumio+, a more compact version of the original, also doubles as a portable cell phone charger. For under $200, either of these makes a fantastic gift for the entrepreneur who could use a bit of illumination. 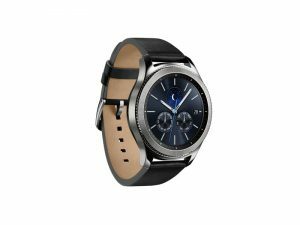 designs, with a choice of Bluetooth or 4G LTE connectivity, this nifty device allows the wearer to text, send emails, make calls, pay for stuff, and access thousands of apps. Boasting a battery that lasts up to three days, along with a wireless charger, it also boasts a choice of stylish wristbands. With this gift, you can help your special entrepreneur be practical and fashionable at the same time! This may be the one thing that every entrepreneur should have on their list. Cyber security is emerging as a top concern, and with good reason. With the advent of the IoT (internet of things), more and more of our devices are connected to the internet, making us vulnerable to hackers in ways we might not even be aware. In addition to our computers, smart home devices offer ways into our personal networks, exposing vital data and information to bad actors. 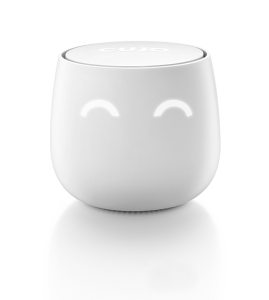 The folks at CUJO have developed a portable, smart firewall device that protects all of your connected devices at once, bringing business-level security to your home or small office. This easy-to-use device is a game changer for today’s entrepreneur - what a way to show you care. know what to do. Unplug your computer, shut down the phone, put on some music, and enjoy some quality time with your entrepreneur friends. On the other hand, if you crave the dining-in experience but don’t quite have the skills to pull it off, don’t worry. 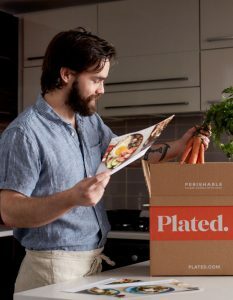 Try a service like Plated, and get all the ingredients you need to cook a gourmet meal, along with an easy to follow recipe, delivered to your home. Take the night off to enjoy yourselves and recharge your batteries. Holidays will be over soon, and it will be time to get back to work!